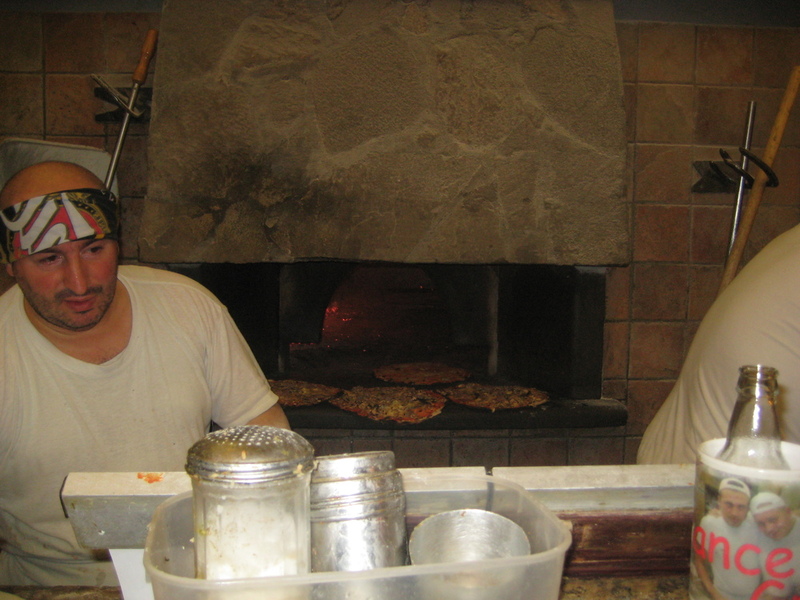 While in Rome during one of my tours, I felt everyone needed to go to a Roman pizzeria. Pizza in Rome is quite different than pizza in Naples. Let me explain. Roman pizza is very thin litte sauce and cheese while pizza made in Naples is a little thicker, has more of a crust and definitely charred on the bottom. So, one evening there was a small group of us, five to be exact, that decended on Da Remo in the Testaccio section of Rome. We arrived by taxi and many people were congregating by the door but we managed to get ourselves noticed and asked for a table. The fact that many people were waiting to eat at this place was a good indication of the good pizza we were about to encounter. We were seated at the table, given the menus which we carefully read, and we were also given a chit and pencil so that we could fill out what we wanted to order. After much discussion we placed our order. Within a few minutes everyone had their personal size pizza! Since everyone ordered something different we had the chance to sample many of the different offerings that Da Remo has on the menu. Each and every one of the pizzas were delicious and not smothering in sauce or cheeses but just right! Full of flavor and done to perfection. This was worth the experience and I would definitely return to this local pizzeria. Just look at this wood burning oven. I wonder how many pizzas they make in one day? Hint: When going out for dinner in Rome and you need to get back to your hotel, best to have the restaurant call you a cab! Sometimes it can be difficult to find a cab on your own and this is the best solution.